Updated Sunday July 13, 2014 by Hamilton Football Association. As we wait to hear more about Zach Collaros’ head injury — and if he’ll return to the Ticats’ line up next week — theHamilton Football Association is doing their part to protect youngsters from suffering a similar fate. The high hit that Odell Willis delivered to Zach Collaros last Friday was not flagged. But upon further review, the CFL said that it should have been, and handed Willis a fine. 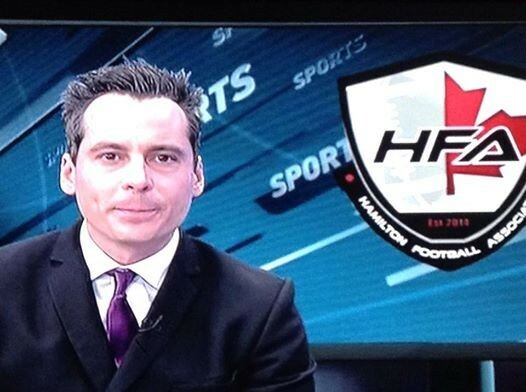 Joe Sardo is the director of football operations for the Hamilton Football Association, which is holding three days of fittings this weekend for their up-coming fall session. In this case, both of these helmets are labelled “medium” but you can clearly see that one fits this child and the other doesn’t. The HFA not only bought different brands of helmet, but also ones that provide players with different styles of support. Specially-trained coaches are now measuring, wiggling and, properly pumping-up hundreds of helmets — making player safety their top priority, both on and off the field.